Stanley Park is a bird lover’s paradise. Situated on the edge of Vancouver, this magnificent park can be conveniently accessed by visitors by bus, car or on foot from downtown. Over the course of a year, as many as 230 species of birds are easily viewed and heard in its diverse landscape of forests, wetlands and seashore. The summer breeding bird populations are diverse and plentiful. 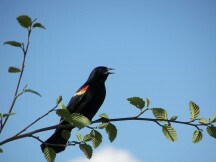 The park is not only home to four nesting pairs of bald eagles and an expansive great blue heron colony, it is also a nursery for songbirds, owls, and many other species. Its winter seashore is teeming with thousands of waterfowl, shorebirds and wading birds, and a short hop over to Lost Lagoon will provide a view of freshwater species. As Vancouver is on the Pacific Flyway, fall and spring migration are exciting times in the park with flocks of warblers, birds of prey and the occasional rarities passing through. Although these birds can become habituated to human presence because the park is so well used, it is important to refrain from feeding any wildlife in the Park. 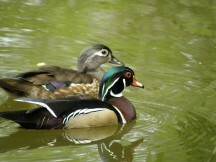 The entire coastline of Stanley Park has been specifically designated as an Important Bird Area (IBA) of Canada. 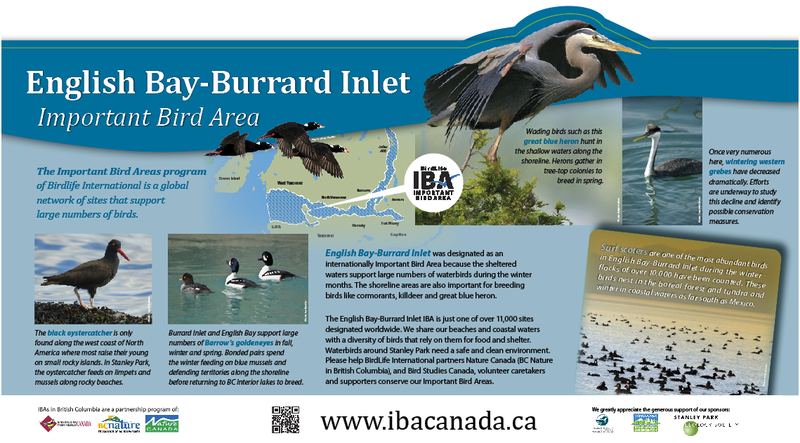 This designation was made by Bird Life International because this coastline has a high diversity of waterfowl and is home to two globally significant populations. Even with four IBA Caretakers and numerous other volunteers, our efforts only cover a small portion of the IBA. Together with partners who participate in the Bird Studies Canada citizen science monitoring program, half of the 40 Coastal Waterbird Survey stations within English Bay-Burrard Inlet IBA are currently being monitored.